"I cannot think of any need in childhood as strong as the need for a Father’s protection.” – Sigmund Freud. 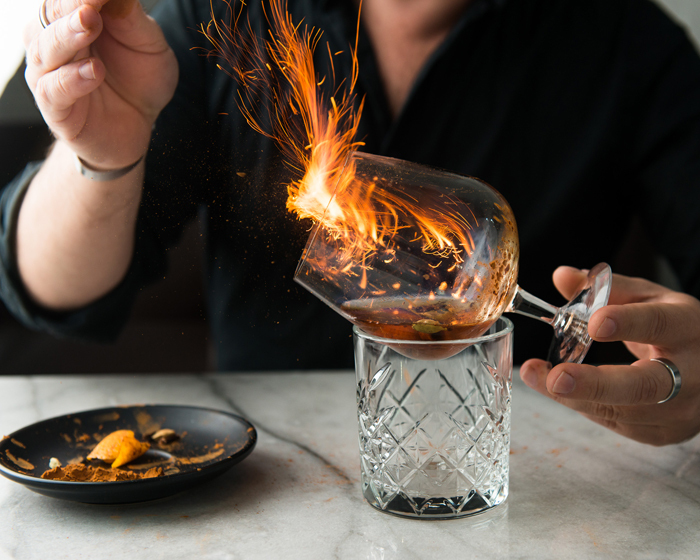 Homepage image: A Fist Full of Dollars: Dalwhinnie 15-year-old, Drambuie, honey and spices flamed to perfection at The Stables Restaurant & Bar, NSW. Photo by Dominic Loneragan. As a child, my fondest memories revolve around my Father – Sunday night homemade beer battered fish and chips from his secret recipe; early morning swimming training sessions and later surf lifesaving at the beach, where he was my coach, friend and mentor. Dad was always there, a nurturing hand when I needed it and the voice of reality when I doubted myself and what I was doing. To Dads all over Australia this Father’s Day on September 2, feliz dia del padre, bonne fete des peres, selamat hari ayah, giorno di padri felice and have a bonza day, Dad! Want to take Dad somewhere special? Read on! 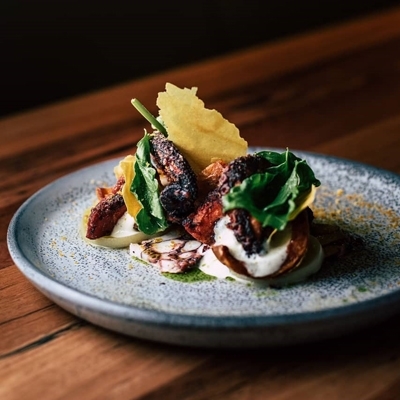 Just 45 minutes from Melbourne’s CBD, take Dad SkyHigh on the uppermost reaches of the Dandenong Ranges for a spectacular breakfast, lunch or dinner overlooking the city, Port Phillip Bay, the Yarra Valley and beyond. 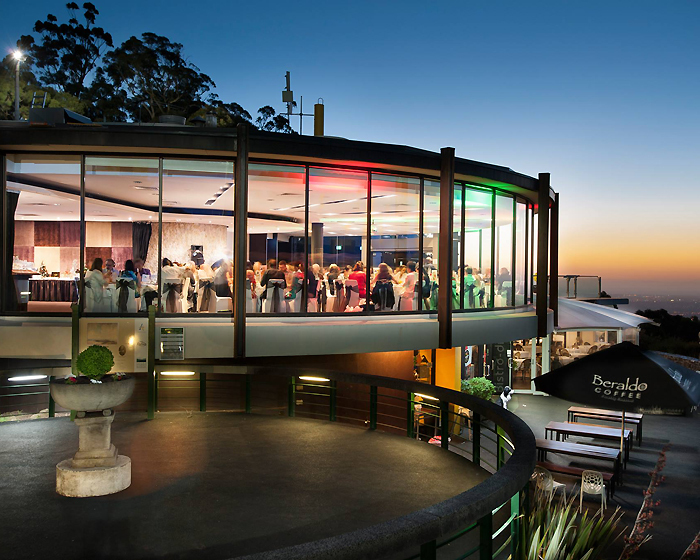 SkyHigh Mount Dandenong on Observatory Road offers a dining experience nothing short of breathtaking, grab a seat at one of the outdoor viewing terraces, or cosy up by the open fireplace and choose from a menu boasting innovative Modern Australian dishes. Lunch temptations include pappardelle pasta with broccoli, rabe and mushrooms finished with lemon and pecorino, or braised lamb shank, potato mash, green beans and house jus; while dinner for Dad may start with an entrée of spiced chicken wings and blue cheese dipping sauce. 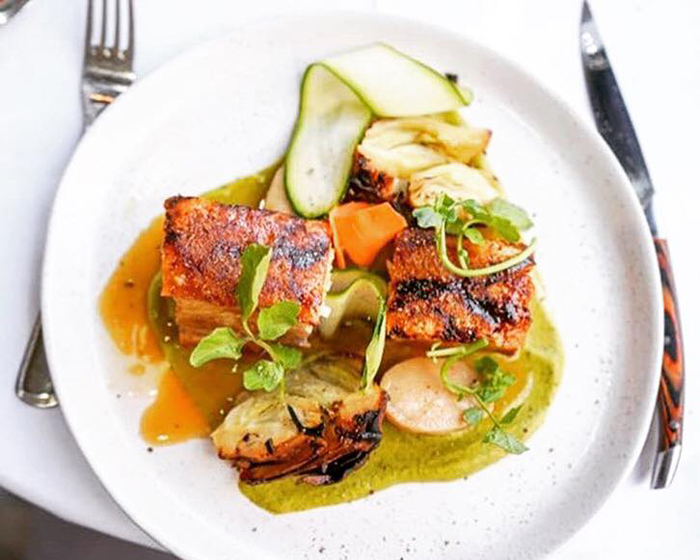 Follow on with a manly main of pork belly, parsnip puree, baby turnips, heirloom carrots, fennel, Jerusalem artichoke chips and apple caramel sauce; any room left? 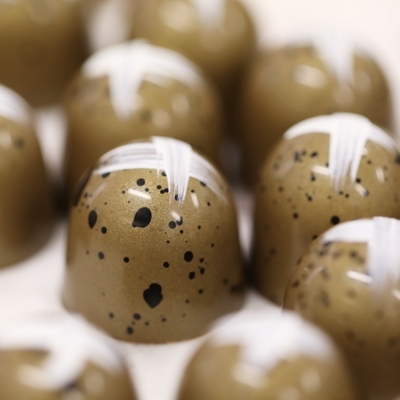 Be enticed by chocolate fondant, hazelnut ice cream and Pedro Ximenez raisins. 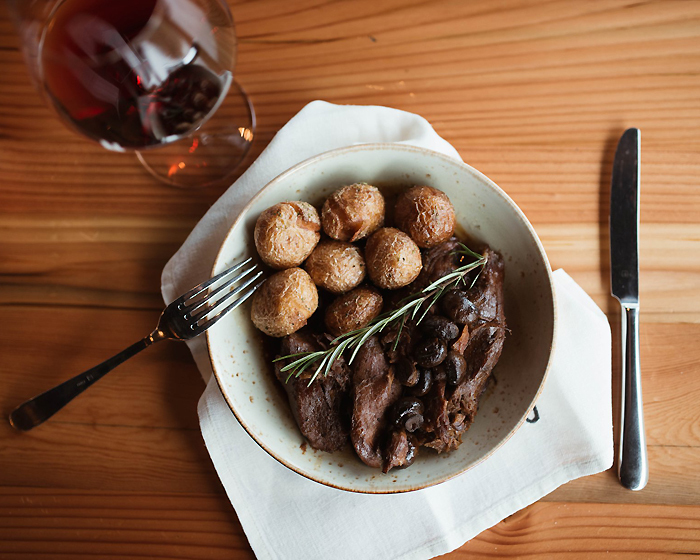 Slow cooked lamb accompanied by roast potatoes and salad, Festa del Papa menu at Zonzo Estate. Thank Dad with Zonzo’s Festa del Papa menu, including antipasto, wood fired pizza, slow cooked lamb and Italian pastries come September 2. Against a backdrop of a glorious Yarra Glen vineyard, this multi-award winning venue offers a truly, unique Italian dining experience in contemporary cucina surrounds of refinement and rusticity. 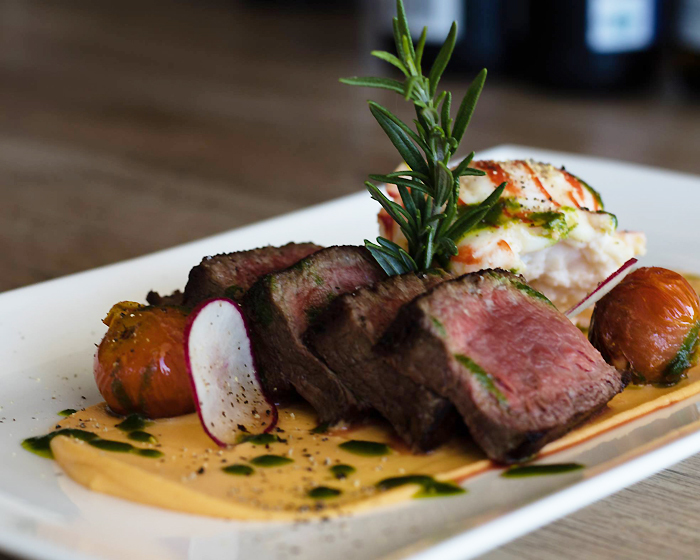 Using imported goods and fresh local products, Zonzo’s menu is a compilation of Casalinga style, paired with matching wines from the estate. Start Dad’s special dinner with wood-fire oven roasted sardine fillets, served with olive oil, chilli and lemon; then share a pizza Bianca con pollo – olive oil base, mozzarella, roasted chicken, mini roasted tomatoes, roast pumpkin and Persian feta, or Bianca con speck with gorgonzola, rocket, speck and shaved Parmesan. Send Dad to dessert heaven with Bomba Ialiana – nougat gelato encased in meringue, domed on top of a sponge, finished with a glass of Baileys. Pasta and Spritz at La Camera. Now an annual ritual at La Camera Southgate, Father’s Day is an occasion for the whole family, staff and patrons to let their hair down and enjoy a memorable day. This Southbank restaurant has two balconies, offering full views of the Yarra River and iconic Flinders Street Station, with balmy alfresco areas ideal for group get-togethers. Come September 2, there will also be a photo booth to capture all the family fun with plenty of prizes and vouchers for best picture of the day, best Dad joke and social media post; all Fathers will also receive a $20 drinks voucher. Wow Dad with a starter of grilled calamari, marinated in chilli, garlic and fresh herbs; before a traditional Italian main of risotto al frutti di mare – scallops, calamari, fresh mussels, squid, herbs, onion and garlic risotto, cooked in saffron seafood broth and topped with Australian grilled prawns. Buon appetito! 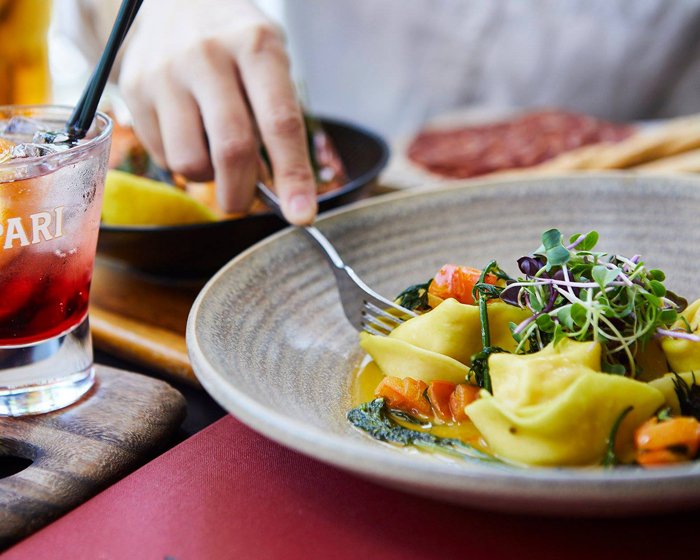 Bringing Italian inspiration to North Adelaide, Paesano Cucina on O’Connell Street showcases a range of traditional family recipes ideal for making Dad feel extra special. With large glass French doors and a sleek, trendy décor of grey and white marble, hanging chandeliers and whitewashed walls, Paesano lures diners to linger longer over an aromatic coffee and brunch, or share a family inspired occasion at dinner. If it’s an early breakfast with Papa, try free range poached eggs, with Napoletana sauce, Parmesan and basil served with toasted ciabatta, or Belgian waffles with chocolate ganache and caramelised banana. Dinner delivers Dad options such as saltimbocca alla Romana – pan fried veal, fresh prosciutto and sage in veal jus with onion, potato and silver beet braised vegetables; or perhaps slow cooked pork belly, sweet potato puree, pork jus and a crisp apple salad will hit the celebratory spot. Designed among towering, century-old gum trees, Woodstock Coterie Restaurant in McLaren Flat encompasses Mod Oz dining amidst a native Australian backdrop, ideal for Father’s Day leisurely dining. This semi-circular building creates the feeling of an ambient atrium, with earthy toned walls and glass doors adding to a rustic, yet modern setting, where guests can admire surrounding gardens and shrubbery. 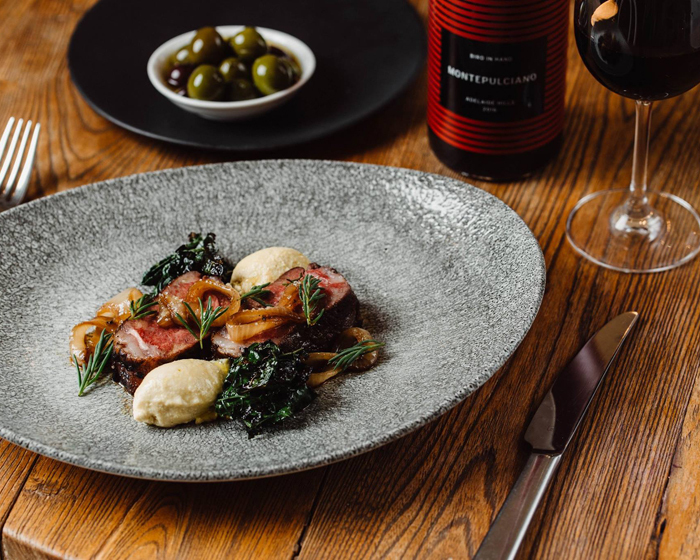 Treat Dad to a delicious three course lunch with shared snacks, choice of main and dessert and a glass of wine from the restaurant’s Coterie Series range. 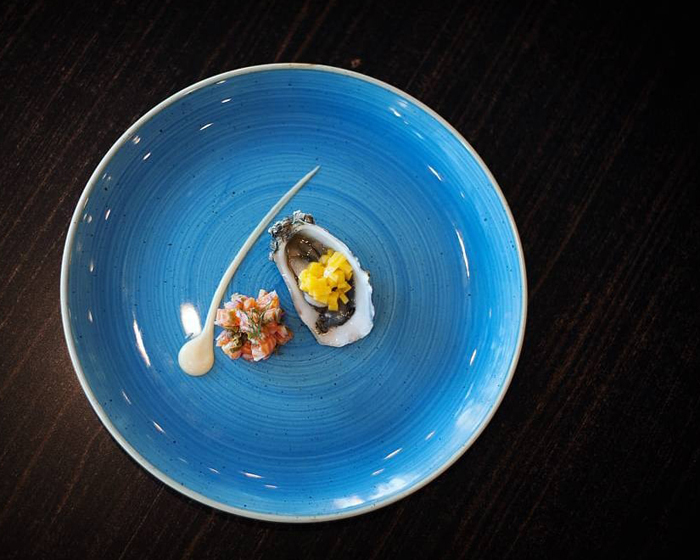 Woodstock’s seasonal menu plates up tempters such as Smoky Bay Pacific oysters, with beetroot vinegar, shallots and native flora to start; followed by choices like Hay Valley lamb ribs, crusted with chilli jam, coconut and nashi pear salad. Delve into one of two experiences, the Joy Flight (6 courses) or Chefs Flight (4 courses) menu at The Gallery. Rare back vintages will be released for Dad to sample on Father’s Day at The Gallery at Bird in Hand on Pfieffer Road in Woodside. Live music, delicious food and award-winning Bird in Hand wines await, along with plenty of space for the family to spread out with lawn games available for the kids, while Dad chills out with a vino in hand. 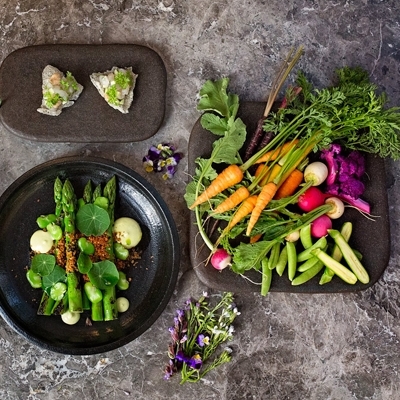 Showcasing a farm-to-table philosophy, this exciting culinary destination embraces all things food, art design, friendship, celebration and of course… wine! Take a seat at shabby chic table settings and peruse lunchtime tasting menus, featuring tempters like charred octopus, green chilli, wombok, cabbage and garlic crumb – paired with a glass of Bird in Hand Chardonnay. 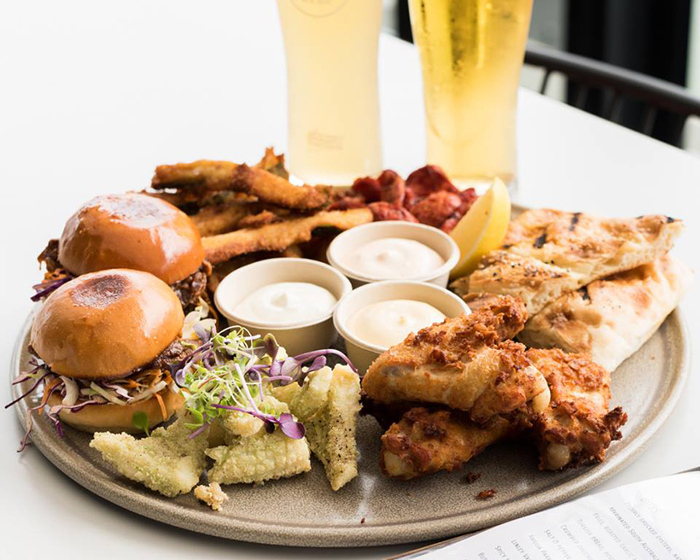 Dads celebrating Father’s Day at Zaaffran on Darling Drive in Darling Harbour, can expect a free Kingfisher beer on arrival along with sumptuous feasts from the regular or banquet menu. 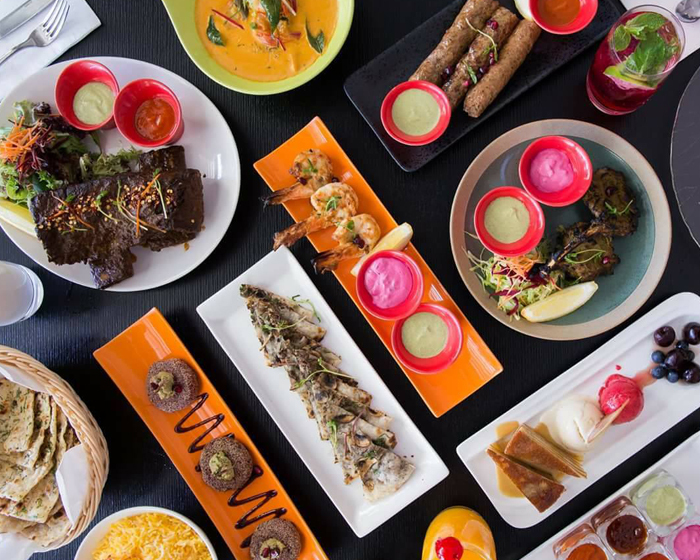 Named after the world’s most valuable spice, Zaaffran serves Indian fare with flair from its elegant and unique venue, with an intimate ambiance of salt lamps, pale wood, plush purple carpeted floors and classically set white clothed tables. Get the most important guest started with a King prawn tandoor, glazed with ginger, green chilli, coriander, cardamom, mace and creamed cheese; moving on to a classic main beef vindaloo, with ginger, red chilli, coriander, pepper, cinnamon and onion sauce with malt vinegar, teamed with aromatic basmati rice infused with saffron and pappadums. La famiglia is all important for Italians and Father’s Day is the time to remember the key role Dads play in the family by treating them to a banquet at Geppetto Trattoria on Wellington Parade in East Melbourne. 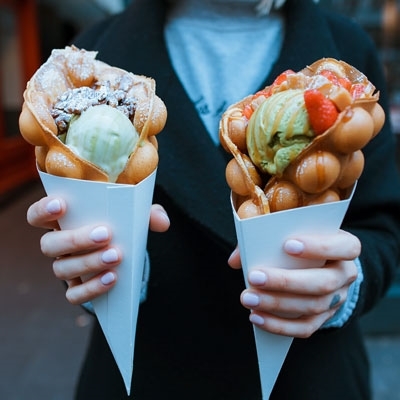 This locally loved eatery has been owned by the same family since 1981, holding the sought after central position of being perched in the heart of action adjacent to MCG, AAMI Park and Rod Laver Arena. 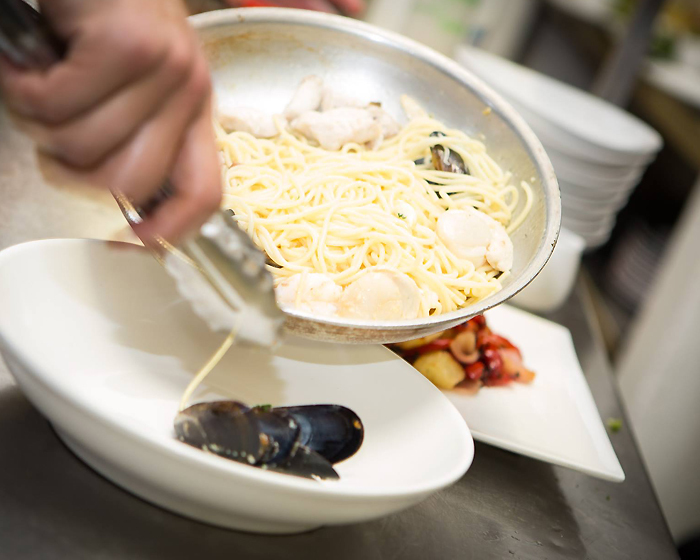 Using seasonal and locally sourced ingredients, Nino and his son have crafted an authentic menu with a focus on housemade pasta, seafood and slow cooking. Father’s Day this year serves up a three-course lunch banquet with choices such as house baked focaccia, served with black olive tapenade; grilled lamb backstrap, baked peppers, eggplant, potatoes and lamb jus; while for dolci e caffe, expect a tasting plate of housemade ricotta cannoli, gelato and tiramisu, with coffee or tea and hazelnut chocolates. Dish Dad up a French treat at LoLuk Bistro on Bourke Street in Surry Hills, where classic European charm makes this a destination-worthy diner. Inspired by the South of France and family recipes, guests are welcomed by potted trees, white tablecloths, mood lighting and a rustic brick and stone interior, beckoning them to settle in for a lazy weekend lunch or cosy dinner. All Super Dads will receive a complimentary French beer at Father’s Day lunch, before dipping a spoon into a starter such as soup of the day, followed by main dishes like beef eye fillet, potato gratin, dried tomatoes and rocket salad. Tempt Dad’s sweet tooth with an indulgent dessert of chocolate fondant with blood orange sorbet…magnifique! Calamari and ouzo mayonnaise at Nostimo. A Greek feast awaits Dad on his special day at Nostimo Restaurant Bar on Edmondstone Street in Brisbane. Indulge in a modern share-style menu designed by Chef in Residence David Tsirekas, or try a selection of favourites, while large groups may opt for Nostimo’s banquet – all with a complimentary Fix or Mythos for the man of the hour. This new restaurant transports diners to the Mediterranean with white rendered walls, cascading worry beads, thatched ceilings and terrazzo finishes; from the best seat in the house on the famous terrace of The Greek Club, where sweeping views of the city skyline entice guests. Start with halloumi filo and truffled honey dressing, moving onto mains like slow cooked beef cheek stifado, red wine, vegetables and celeriac puree. Literally on the water’s edge with unrivalled Gold Coast views, let Dad unwind in style at iconic Café Catalina in Southport’s Broadwater Parklands. 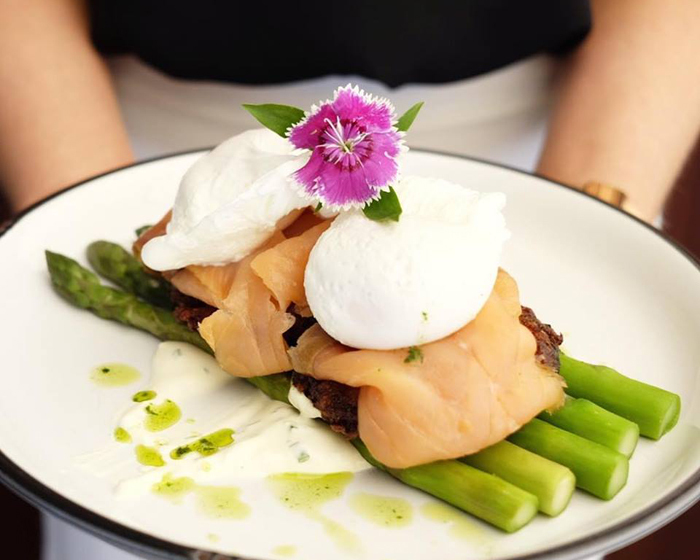 Open for breakfast and lunch this Father’s Day, soak up the sun and balmy breezes at umbrella-shaded tables as Dad tucks into early riser dishes such as Big Catalina – eggs your way, pork sausages, Warby’s local smoked bacon, grilled tomato and mushrooms, hash brown and sourdough toast. While away a leisurely lunch while watching Broadwater boating activity, with an entrée of Hervey Bay scallops, smoked tomato and olive butter; followed by Dad’s favourite New York Wagyu steak sandwich, with beetroot, barbequed onions, tomato, baby cos, Swiss cheese, Kewpie mayo, kasundi and fries. Steak and bugs at The Vinyard. A full belly equals a happy Dad at The Vinyard Restaurant & Wine Bar on Charlton Esplanade in Hervey Bay. Tell Dad how great you think he is by taking him down for a fine feed, delicious drinks and unbeatable views on September 2, with their three-course lunch menu and a special drink for all Fathers. Drop by later in the afternoon and enjoy charcuterie and cheese platters, or dine a la carte in the evening. Nab a space on the restaurant’s trendy alfresco terrace and soak up a vast ocean horizon, while devouring local ceviche, citrus cured scallops with chilli and fennel; followed by the Chef’s selection of grilled Moreton Bay bugs with salsa verde and shoe string fries – washed down with a glass of Marlborough Sauvignon Blanc from the extensive wine list. 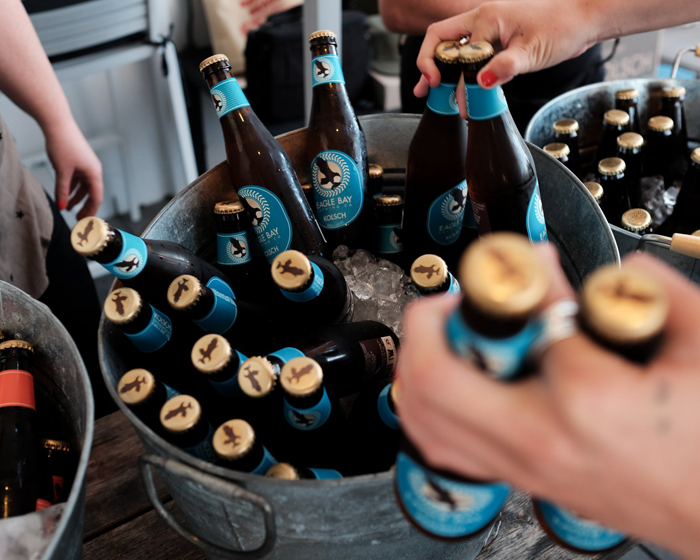 If Dad loves beer, take him to Eagle Bay Brewing Co on Eagle Bay Road in Dunsborough. Boutique craft beers, fresh honest fare and a glorious panorama of lush countryside with an oceanic backdrop, make this venue an ideal location for a family celebration. 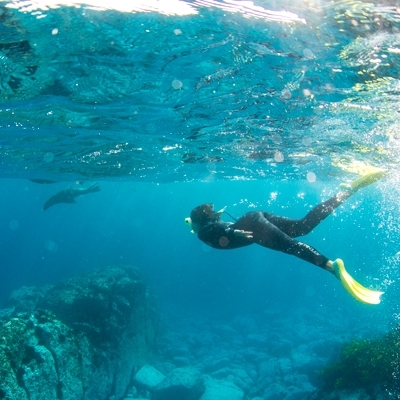 Soak up the diversity of the Margaret River region, while Dad samples a drop from the vineyard or brewery and delves into lunch boards of crumbed salted barramundi croquettes, fennel, orange and caper salad, chilli, orange and almond aioli. 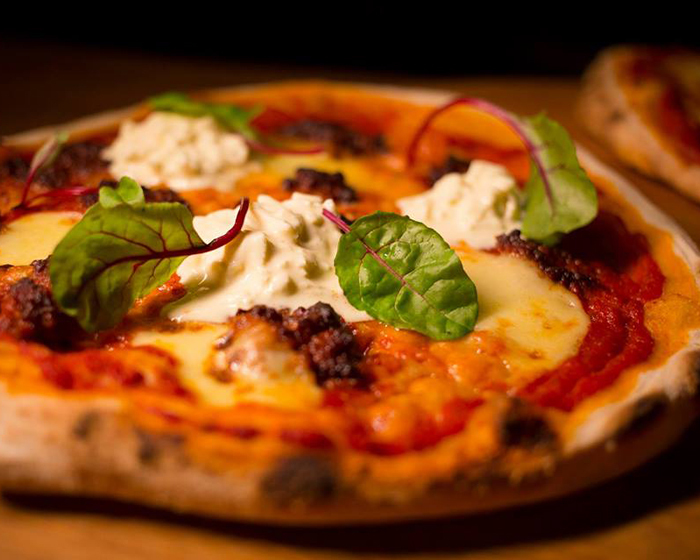 Pizza loving Fathers can pick up a slice of wood fired honey and sesame chicken, topped with Chinese sausage, red onion and snow pea sprouts; or wrap their hands around a beer battered fish burger, lettuce, red onion, tartar sauce and a side of chips. Tasting plate for two at The Reveley. 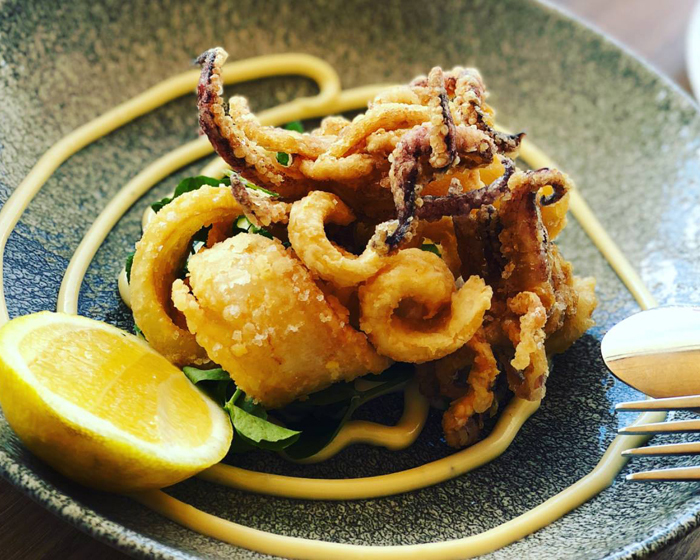 Book the family into The Reveley’s scenic dining room, overlooking Elizabeth Quay in the heart of Perth, to treat the most important man in your life with delicious dishes and a vast range of spirits and cocktails. 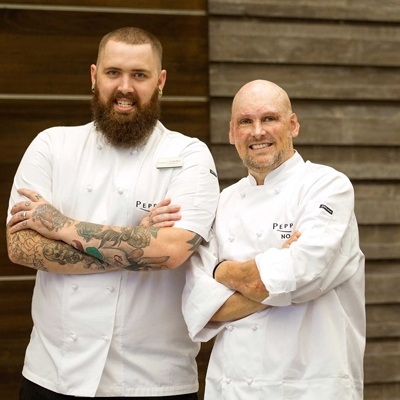 There’s even a complimentary Bevy schooner for all Dads as they take in a dynamic waterfront dining experience, over three spacious levels connected by a sweeping spiral staircase. 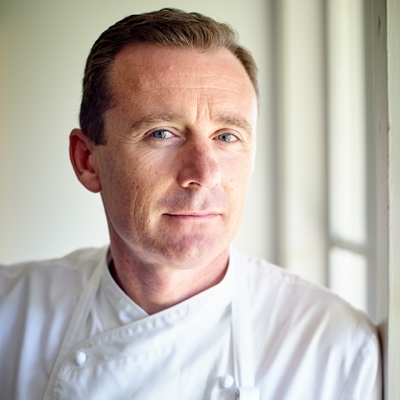 From a casual ground floor bistro to first level dining room and Henry’s Rooftop Bar, expect offerings such as a Reuben sandwich with corned beef, sauerkraut, Marie Rose sauce and Swiss cheese; Amelia Park confit and lamb rack, pastry, beetroot, turmeric spiced pumpkin, tamarind and herbs, or Scotch fillet steak with fat chips, mesculin leaves and a choice of three sauces. 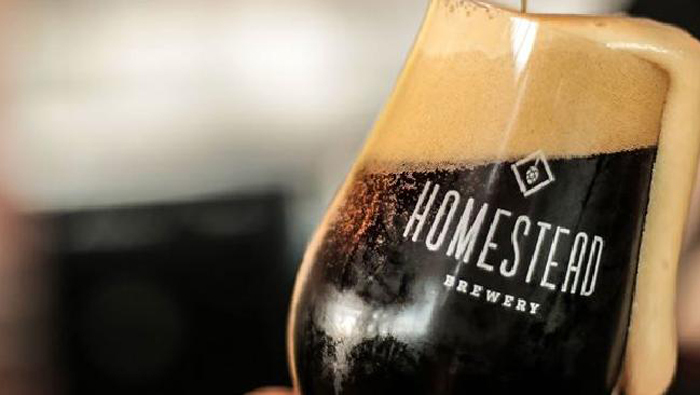 Kick back for a special breakfast this Father’s Day at Homestead Brewery on Harris Road in Caversham. Choose options like housemade Danish pastries, bacon, poached eggs, hollandaise, spinach, field mushrooms, hash brown and Cumberland sausage; or perhaps smoked salmon, poached egg, toasted muffin, hollandaise and a hash brown. Fresh juice, filter coffee and tea are included, as Dad relaxes in industrially chic surrounds inside overlooking the shining Shulz brewing equipment, or alfresco on the shaded deck with a panoramic vista 0f the vineyard. Drop by later in the day and let Dad sample the craft beers and wine on offer and a Mod Oz menu of shared plates, mouth-watering mains, burger and pizza options.